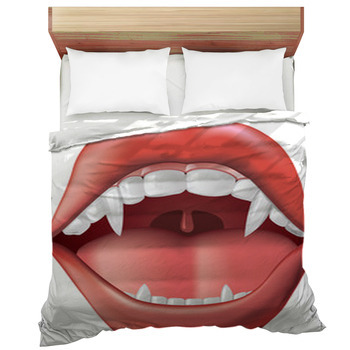 Attention Twi-hard fans: VisionBedding has officially added Vampire Bedding to its long list of cool categories. 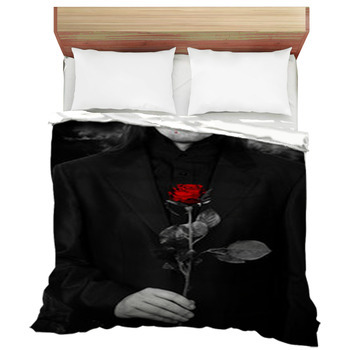 In honor of all the Edward and Jacob fans out there; the Twilight inspired room decor will bring your vampire fantasies to reality. 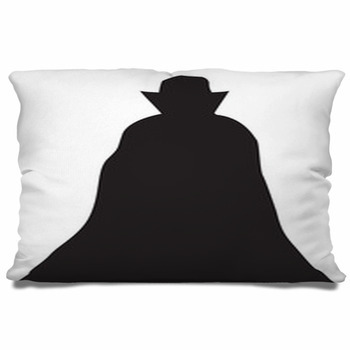 Not only is this the only place you'll find cool vampire themed bedding out there, but you can ensure it's totally unique by customizing it with your name, your favorite character's name, or a favorite blood-sucker quote. 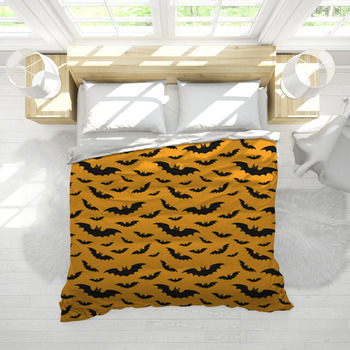 Not to worry, there's vampire styles for everyone NOT just twilight fans; True Blood, Interview with a Vampire and just classic vampire enthusiasts will love this line of vampire bedding. 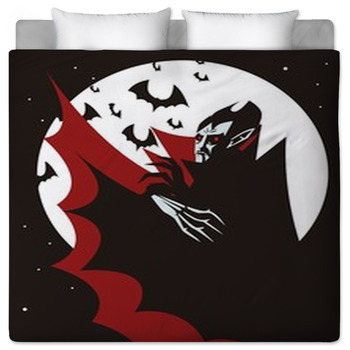 Start out with the right combination of blood red, mystic greys and black for your vampire themed room. 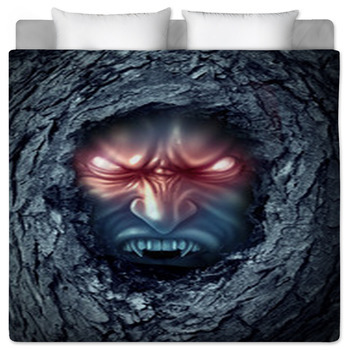 Browse our wide selection of vampire designs for just the right bedding, sheets, and pillow designs and then gradually move to vampire wall decor, rugs and curtains to finish the job. When you walk in the room, you will feel your inner vampire come to life. Whoever said that a fantasy or dream can't come to life when it comes to your bedroom or space, anything is possible with your imagination and VisionBedding. com. 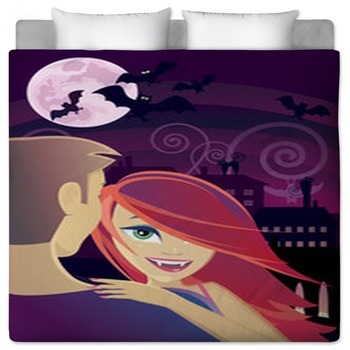 From teens and pre-teens to adults, there are vampire duvet covers and bedspreads of all sizes to fit your needs. 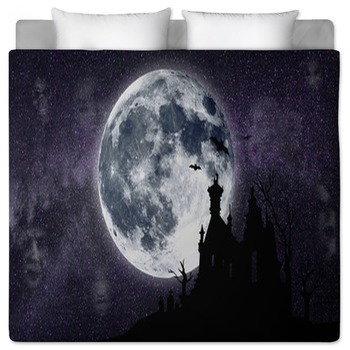 Besides aesthetic appeal, our vampire bedding and home decor is completely functional too. 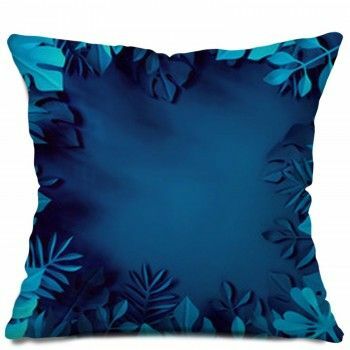 High quality fabrics and soft plush materials allows for a comfortable life and sound night sleep! 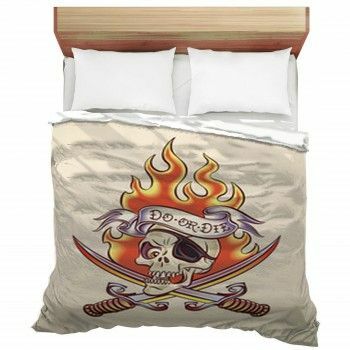 There isn't much that this bedding can't offer so get started shopping for your new vampire dwelling.